April has arrived, and that means it’s time to prepare for the upcoming holiday of Passover, the festival of freedom. We know the drill: cleaning, organizing, shopping, preparing and creating our Seders. As we focus on all that must be done to prepare ourselves and our homes, I invite us to ask the question, Mah Nishtana, what is different, what has changed since we read that question at last year’s seder? Take some time to pause and reflect on what stands apart this time around from the last time we sat at the Passover table. It is an invitation to see differently and notice what is misaligned within and around us. It is the removal or rearranging of the clutter that may surround us externally so that we can see and navigate in our homes more clearly. It is wiping away the film over our eyes to notice the details in the world around us. It is the awareness of seeing internally who we are, noticing what is not the same and may have changed in the last year. First we notice and then we ask the question. We don’t simply look and move on. This intentional way of seeing can lead us to probe more deeply and examine with honesty what it is we see....what we may have been blind to up to this moment. This is the first step of liberation, of lifting the veil of dust as we journey from enslavement to freedom. What burdens can we release in our hearts to expand our lives with more gratitude for the simple pleasures? This Passover, may we see with the fullness of our attention and respond to new noticing with a commitment to examine what we discover. Mah nishtana? What’s different? 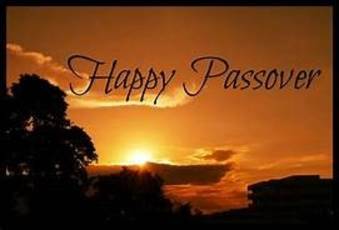 I wish each of you and your family members a Zissen Pesach! Our Shul is percolating with a full Springtime calendar. April 6: 10AM - 12PM Contemplative Service. On this Shabbat HaHodesh, the Shabbat of the month that precedes the first Hebrew month of Nisan, during which we celebrate Passover. It is said that God presented the first commandment of how to sanctify the moon (Kiddush hahodesh) on the new moon of Nisan; thus, becoming the first month of the Jewish year. Register here. April 7: 10am - 12pm DOROT Package Delivery to the elderly. Here is an opportunity to do a mitzvah. It takes so little to warm the heart of an elderly Jewish homebound person. Register here. April 9: 7:15pm - 8:45pm Jewish Chanting at the JCC. Join this intimate group to deepen our preparation for Passover through chant and meditation. Register here. April 10: 6:30pm Movie Night: Liberty Heights. A movie and a delicious deli event at MCC. Register here. April 12: 6:30PM Joyous Musical Kabbalat Shabbat Service at MCC. April 13: 6-8PM Havdalah in Brooklyn. Spend the last hours of Shabbat enjoying the company of great friends, singing songs (Passover preview) and noshing together. We will conclude with a wonderful Havdalah ritual. Details coming soon! April 19: First night of Passover. If you need a place to go or have an extra seat or two at your table, please contact Rabbi Eva. I will try to make a match. April 26: 6:30pm 8th Night Passover Celebration. Following our musical Kabbalat Shabbat service, we will commemorate this special night when we reached the Reed Sea and witnessed the miraculous parting of the waters, crossing over to freedom. On the 7th and 8th day, also known as Shvi’i shel Pesach, it is an old custom to hold a gathering to retell the story of the parting of the waters, to sing songs of praise and to enjoy another seder feast. UWS location. Details coming soon! 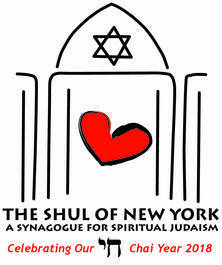 Mark your calendar now for our fabulous Band Together in Love Concert with the amazing Shul Band (and silent auction) on May 23. Details coming soon! Below are a few resources to enhance your Seder. Try this inspiring haggadah for interfaith families. A Seder Host's Companion offers some supplementary thoughts on ecology and moving us from slavery to freedom. "20 MORE Things to do with Matzah" by the entertaining Michelle Citrin. A multi-genre twist on Dayenu by the Maccabeats.